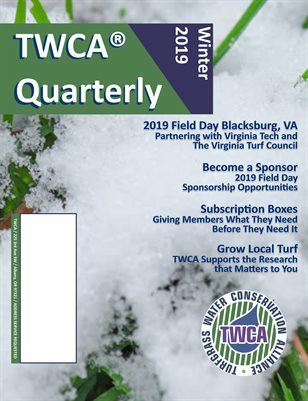 Just in time for early spring is the TWCA Winter Quarterly! It’s just in time to recap the super Busy February travel schedule; everywhere from San Diego to North Carolina to Washington DC! This issue also breaks down the upcoming Field Day schedule for TWCA. The University Support program is also front and center. 25% of every membership at a Field Day Event goes directly to the University! The standard features, Drought Monitor, Events, etc. are also in the newest issue.